Well I've been through the desert in a car with a name. I can't say it felt good to be out of the rain, given it hasn't rained on us in about three months now. 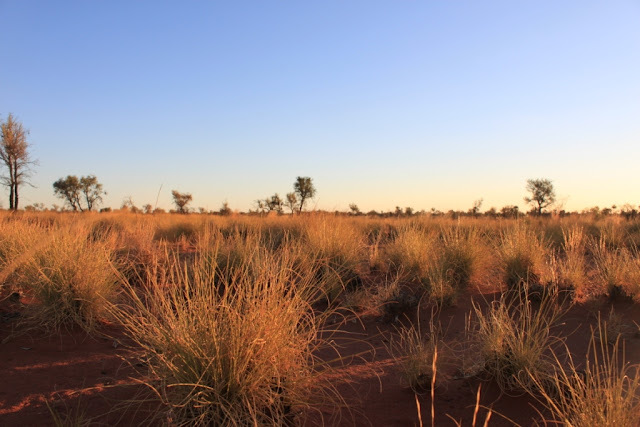 It would have also been quite surprising had it rained, given we were in the Tanami Desert, which has negative annual rainfall if you count evaporation. But it was still an experience. 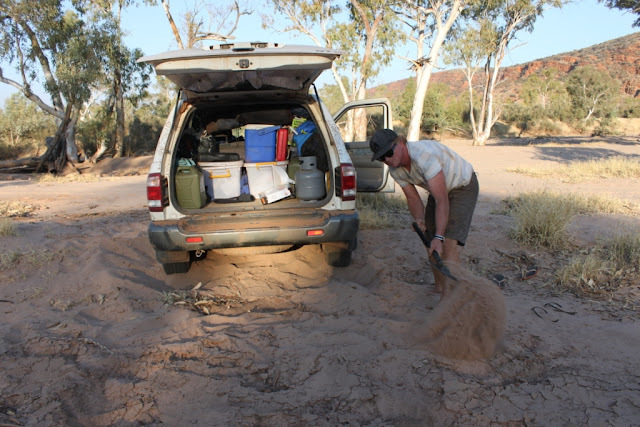 It took us three days to drive the 1000km across the pancake-flat Tanami. You could do it in two, but we found driving at 80 km/h on a fairly rough corrugated road was hard enough without pulling really long days. A highlight was camping under the stars with a big bonfire. Amazing how clear the sky is without any light pollution, except for the odd road train that came thundering through on its way to one of several mines we passed along the way. We're back up in the Top End now, in Kununura, a pretty little service town in the Kimberly, Western Australia, which serves as the stock-up place for everyone about to head west along the Gibb River Road or east along the Victoria Highway towards Darwin. 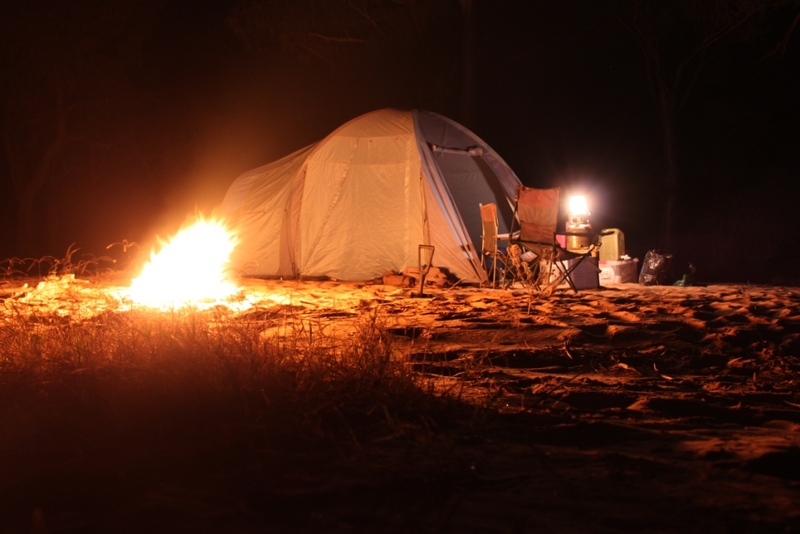 We camped on the Finke River as wildfires raged all around us. That night I counted 16 separate blazes in the distance. Pretty scary stuff, but fortunately none came near us. My escape plan had been to drive into the river! Then we headed into Palm Valley, an amazing canyon that somehow has allowed palm trees to grow in the dry thanks to underground streams and plenty of shade. It was spoiled only by a tour operator who gave us another reason to hate them, allowing his guests to pitch their tents all around our own camp. I asked one guy who was setting up directly under our awning if he'd rather sleep in our tent too! I don't think he got my sarcasm. Digging out Chuckie in Boggy Hole! Complaining didn't do much good as it turned out the group, from one of the big roading companies, had been invited by the local aboriginal elders. That explained why they didn't understand camp ground ettiquette, but it didn't put any more hot water in the tiny camp ground's solar shower. Most of the time we've stuck to bush camping, which has the advantage of being free and allows you to avoid the hoards as much as possible. 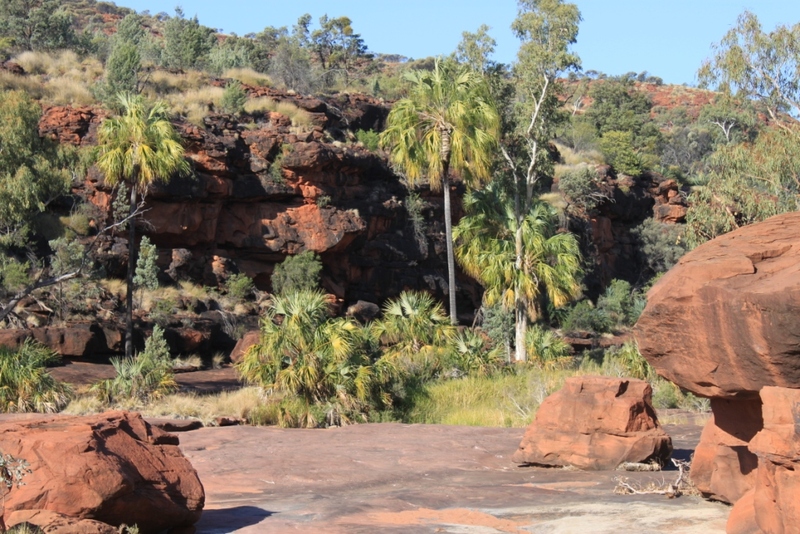 Not sure how we'll fare in the next week though - the Gibb River Road is a highlight in any 4WDers itinerary, although luckily we're through the peak winter season now, and many fellow travelers are starting to head south. It's really heating up - Kununura was 37 degrees yesterday, and the forecast is for 38 today. Ouch.